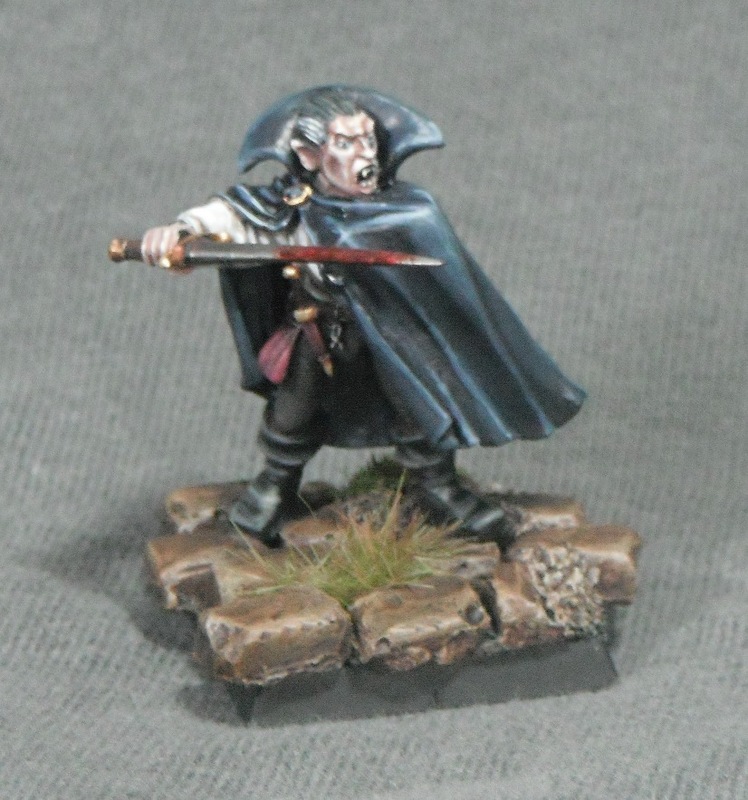 With the release of the new Vampire Counts army book it seems appropriate that I’m painting undead at the moment. 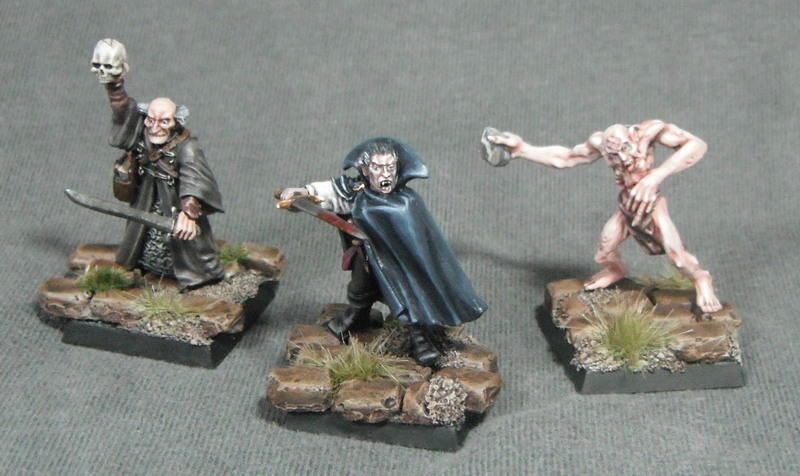 Here are the next two members of the warband: a necromancer and a ghoul. These were fun models to paint and reasonably quick; each of them took about a day to complete. I wanted the necromancer to look pallid and unhealthy but definitely still alive. 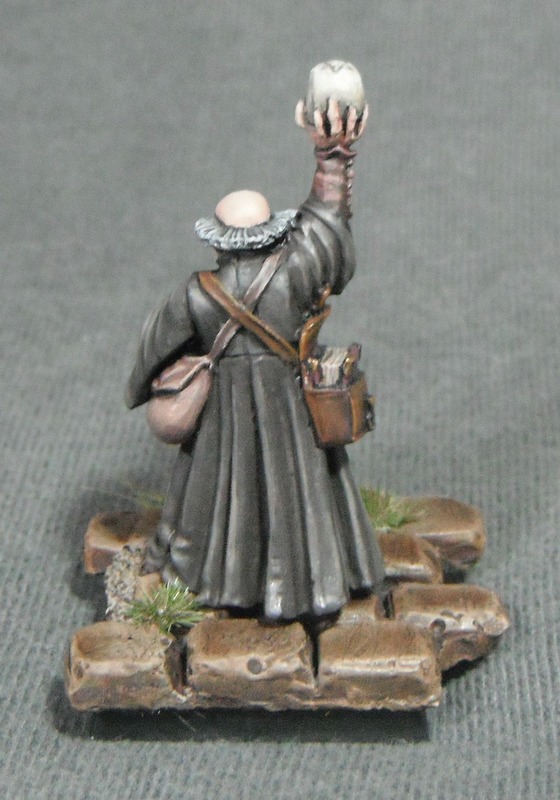 The skin was painted following Darren Latham’s excellent ‘Painting Faces Redux’ article (available from the White Dwarf archive on GW’s website). Also, I would encourage you to check out Darren’s blog, Razzaminipainting, if you have not done so already. The skin was basecoated Tallarn Flesh and shaded with Dark Flesh followed by Scorched Brown. For highlighting I added Bleached Bone to Tallarn Flesh along with some Fortress Grey in order to get an aged appearance. I’ve always been rather fond of the older metal ghoul models and it was nice to finally get to paint one up. 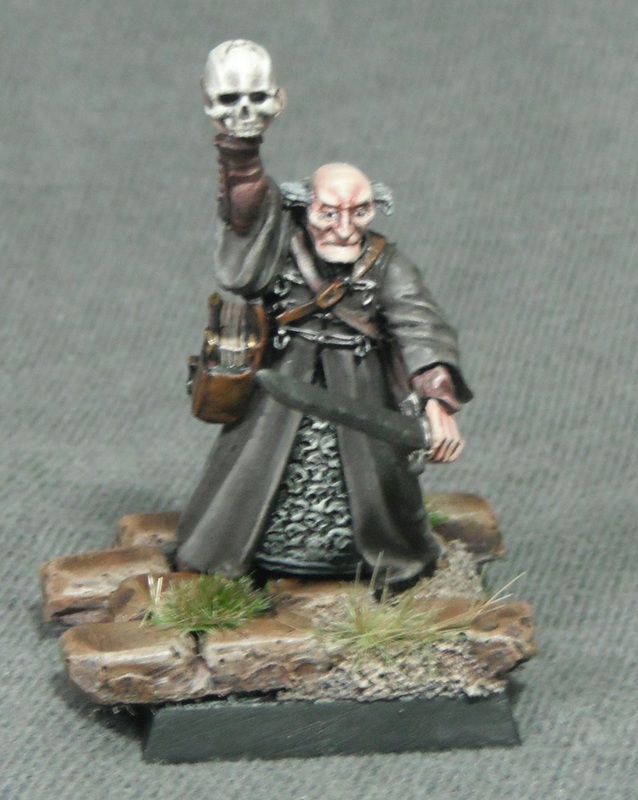 As with the necromancer, for the ghoul I wanted a pallid but alive look to the flesh in order to differentiate him from the undead members of the warband. For this I used Anja Wettergren’s guide to painting Urien Rakarth fromEavy Metal Materclass which was perfect for the model. The book gives a very detailed account of the technique for painting the skin so I won’t repeat it here. I’m really pleased with how the skin came out. However, it was quite difficult to photograph with it being so pale and looks a little washed out in the pictures. 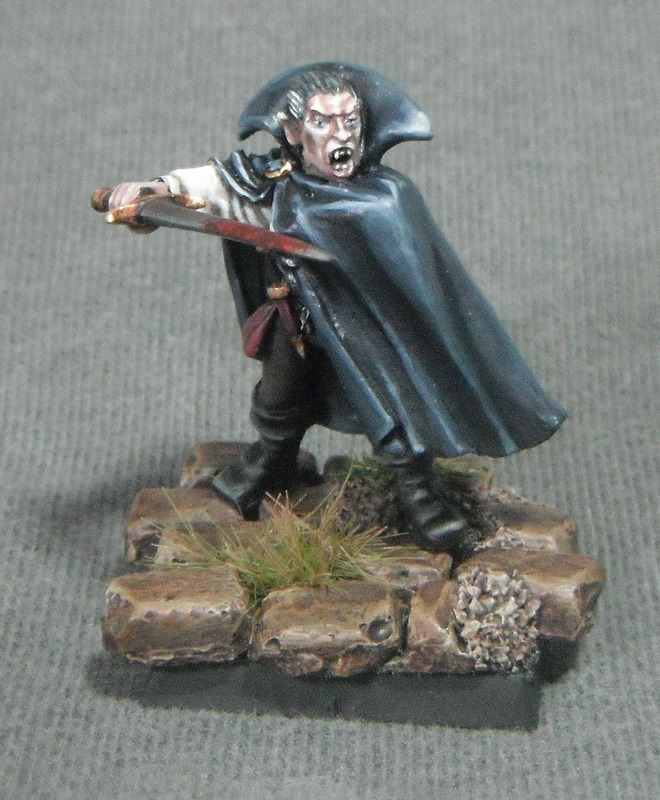 Here is the vampire from the undead warband I’ve been working on. 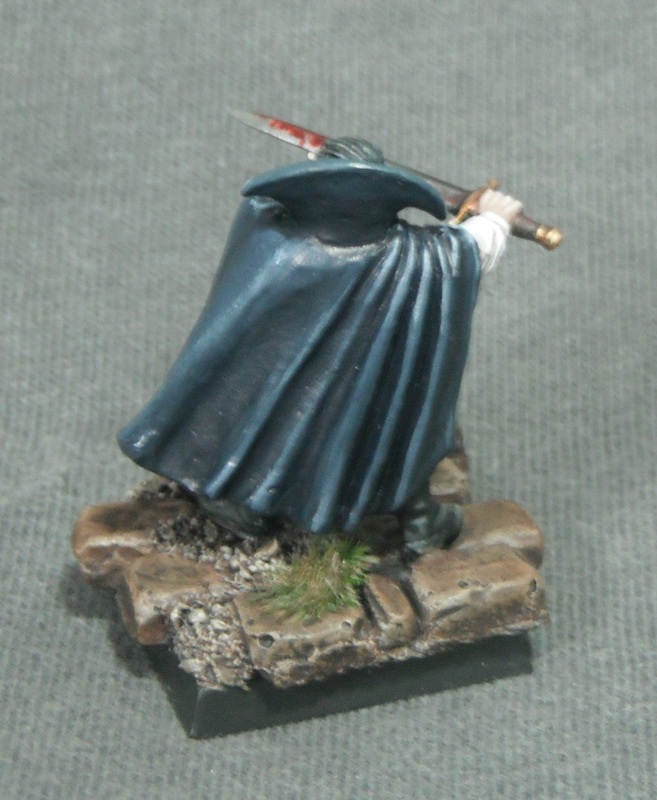 This was quite a quick model to paint (owing to the fact that most of the model is concealed beneath the cloak) and was finished in a day. 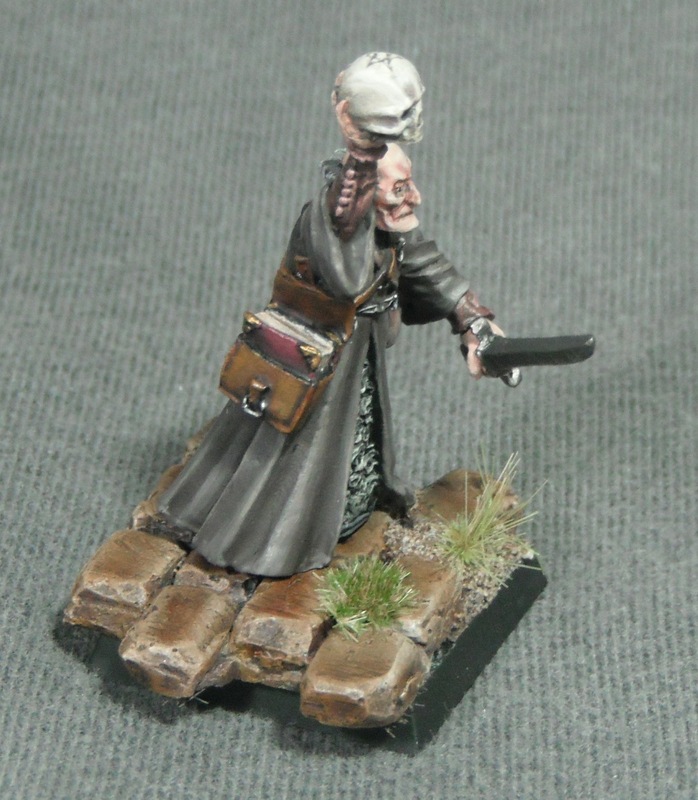 I chose to use predominantly cold tones when painting the model in order to reflect its undead nature. The only exception to this is the splash of red blood on the sword. 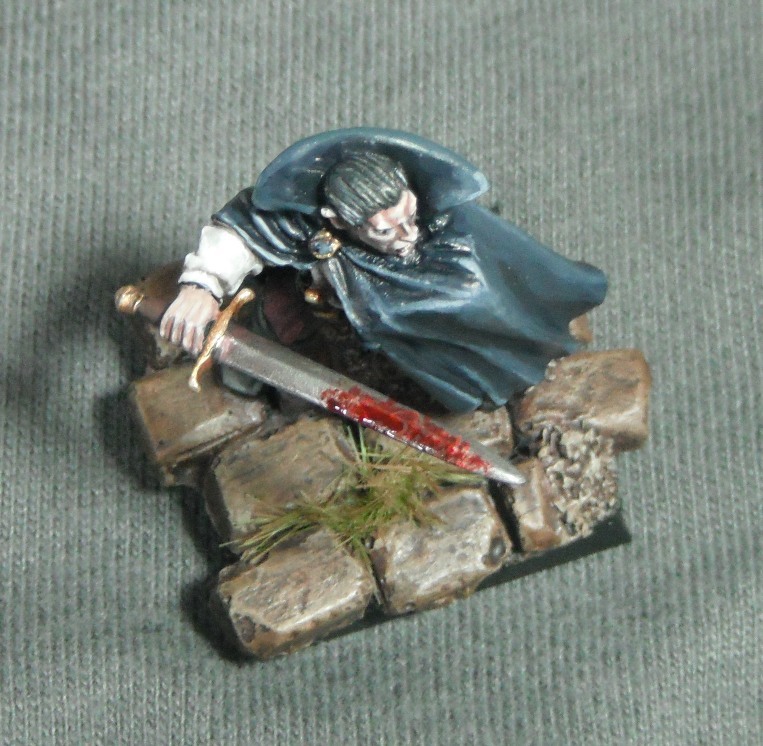 This adds a bit of contrast to the rest of the model and adds to the vampiric feel of the model.